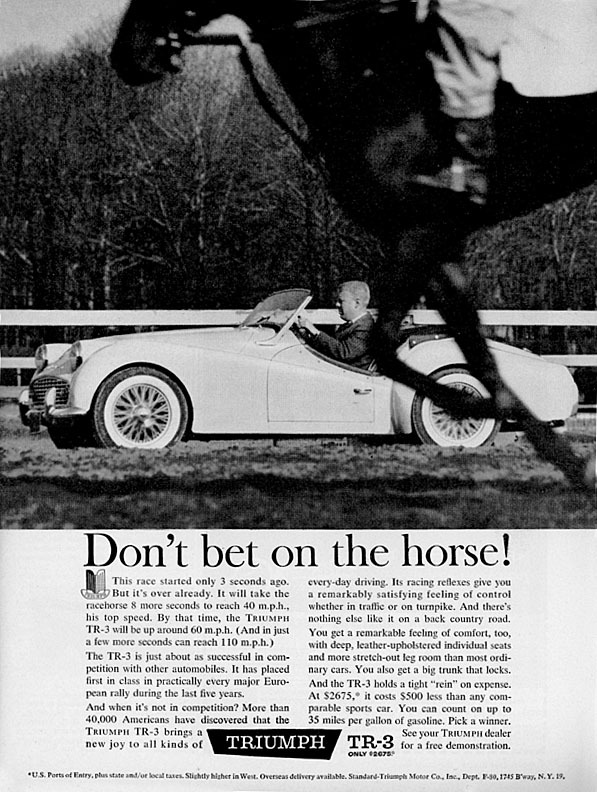 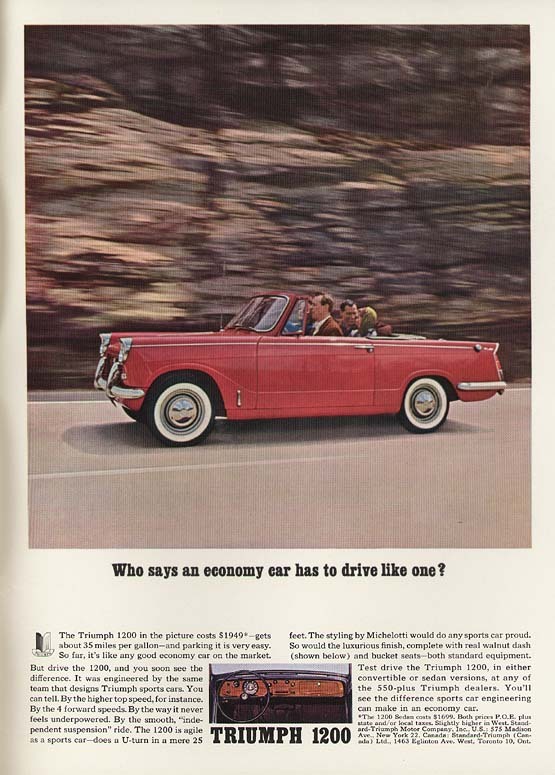 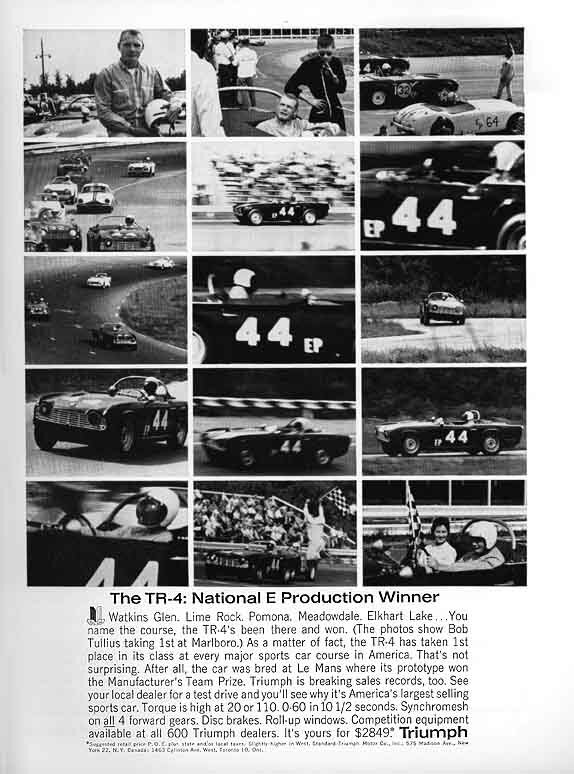 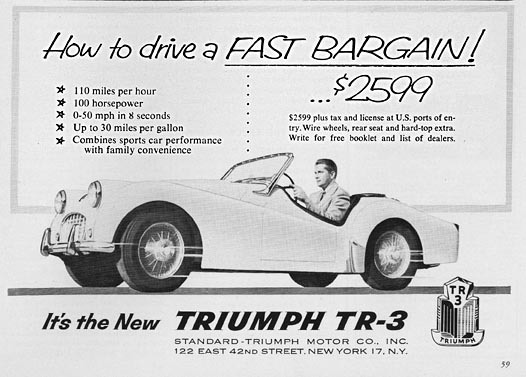 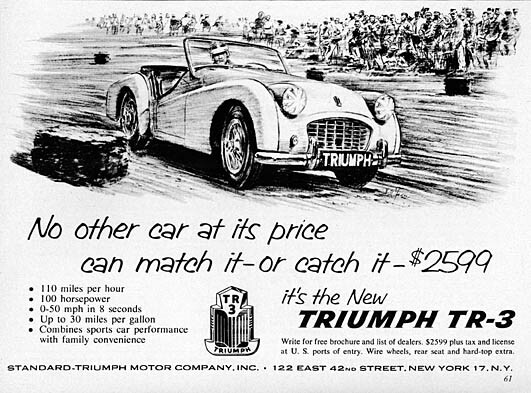 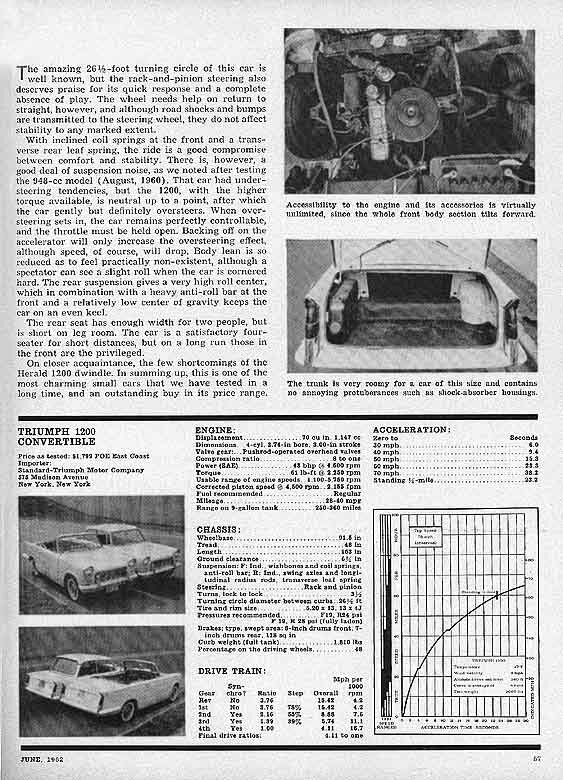 "How to drive a Fast Bargain"
"No other car at its price can match it or catch it"
"Don't bet on the horse"
"The car that changed America's mind about sports cars!" 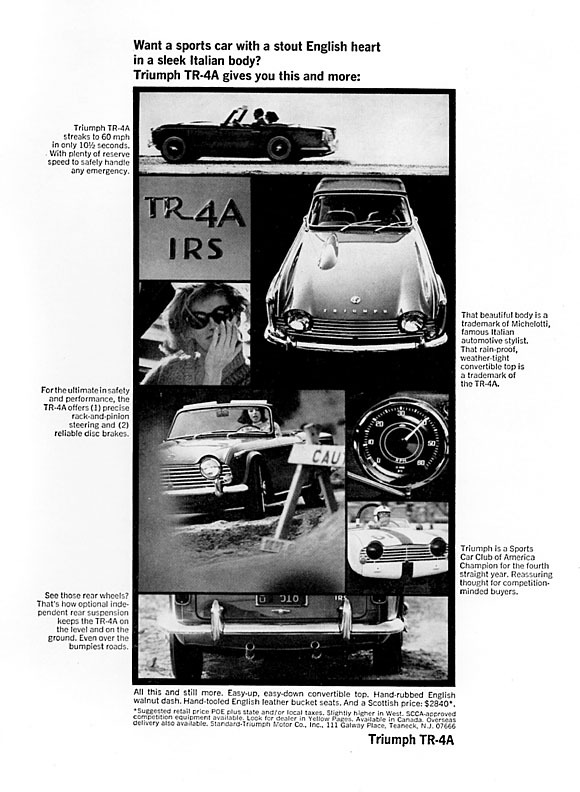 "It takes more than dual carbs to make a sports car." 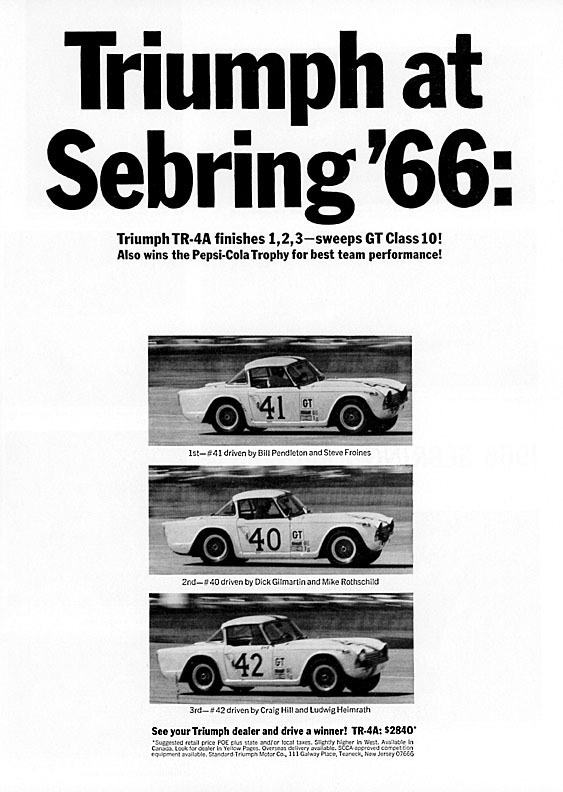 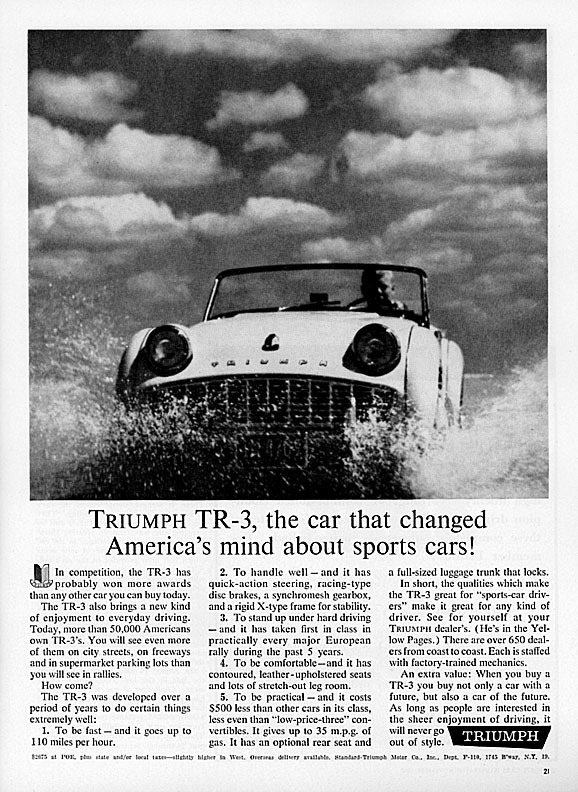 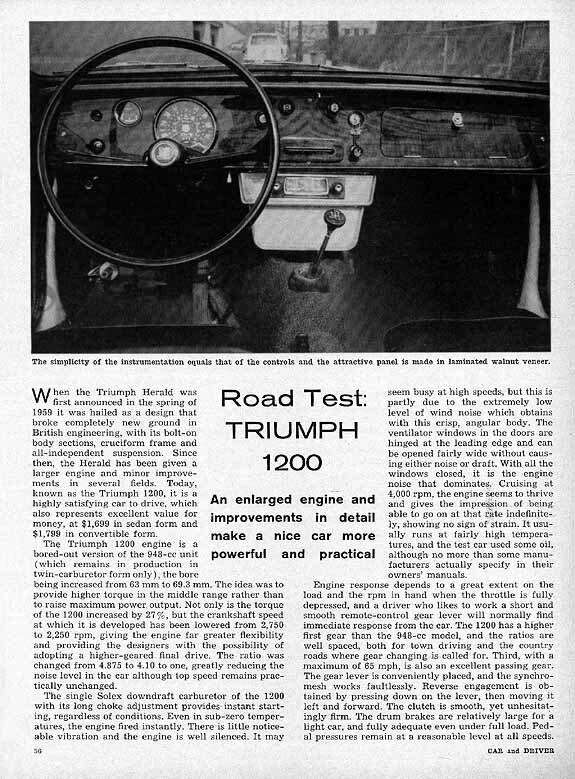 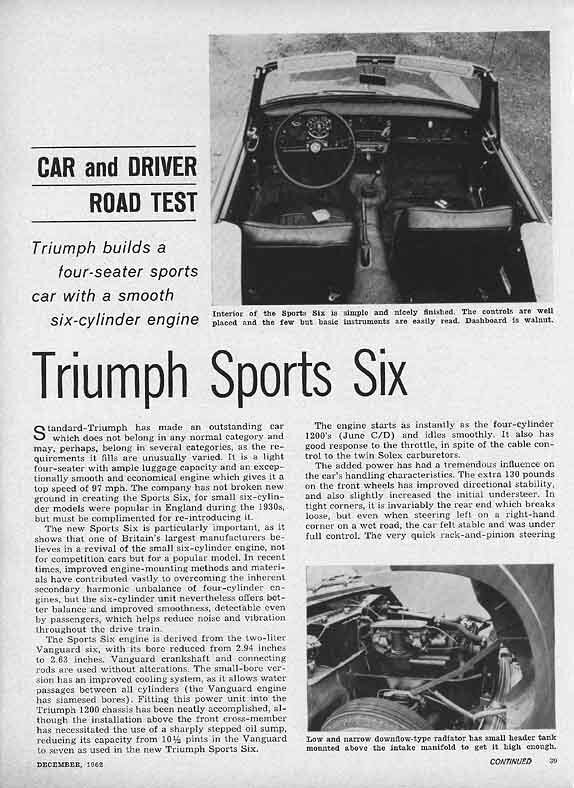 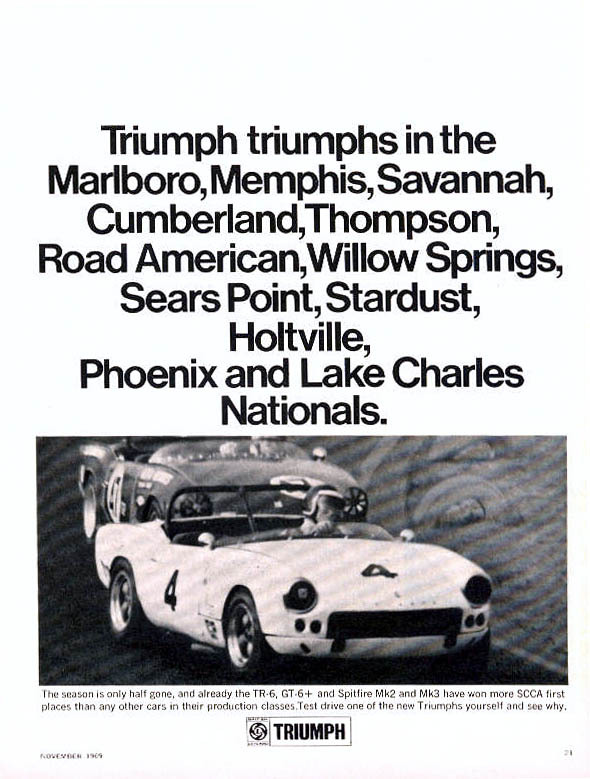 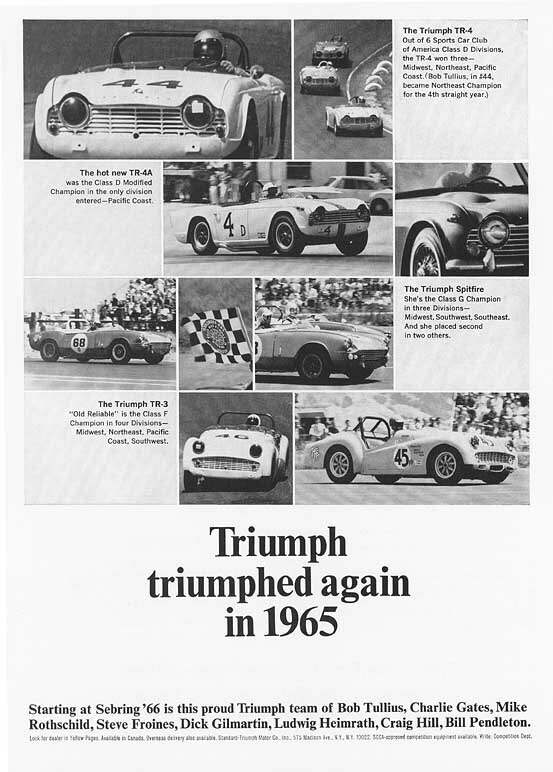 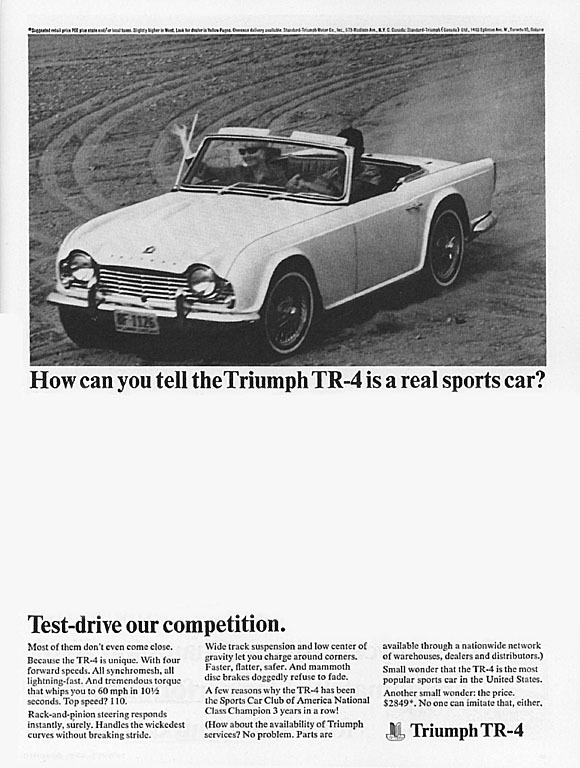 "How can you tell the Triumph TR4 is a real sports car?" 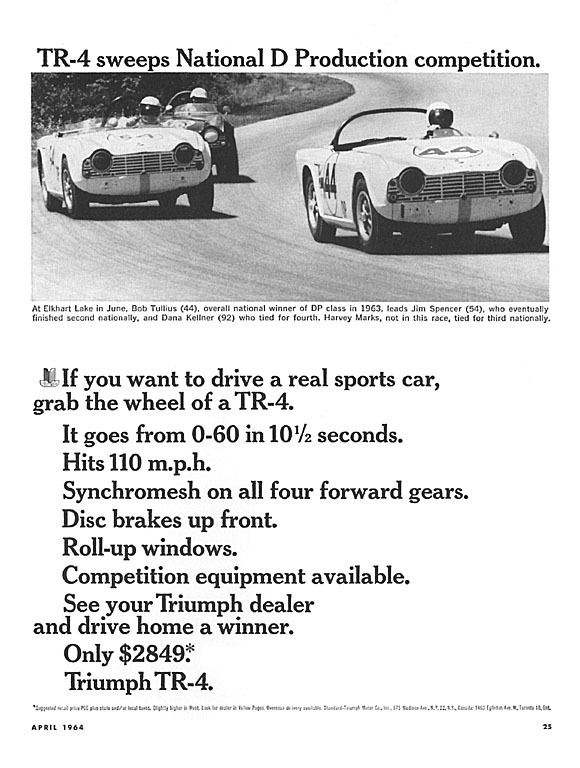 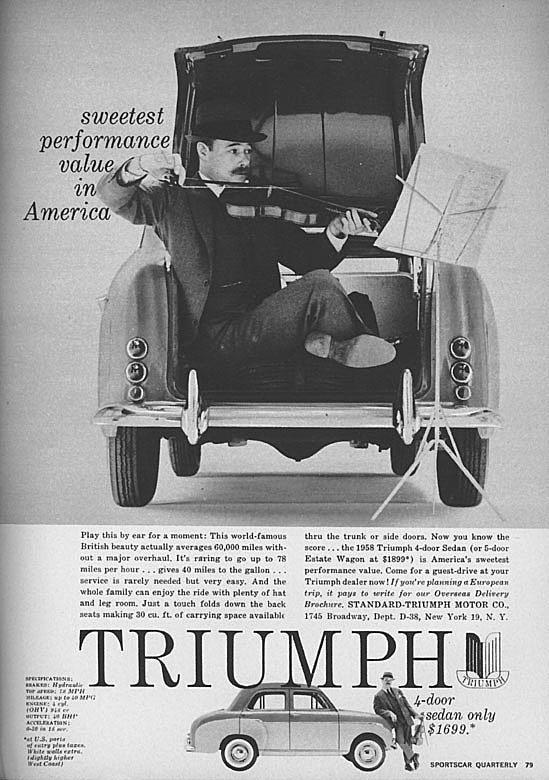 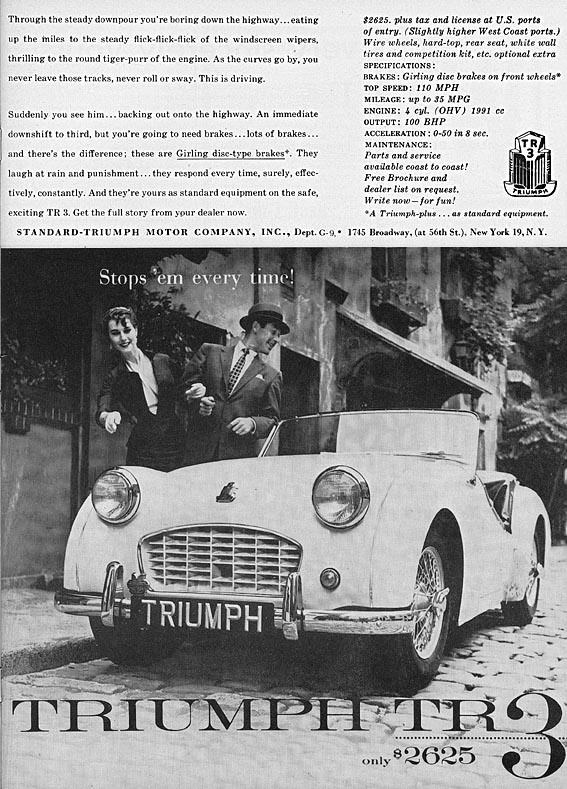 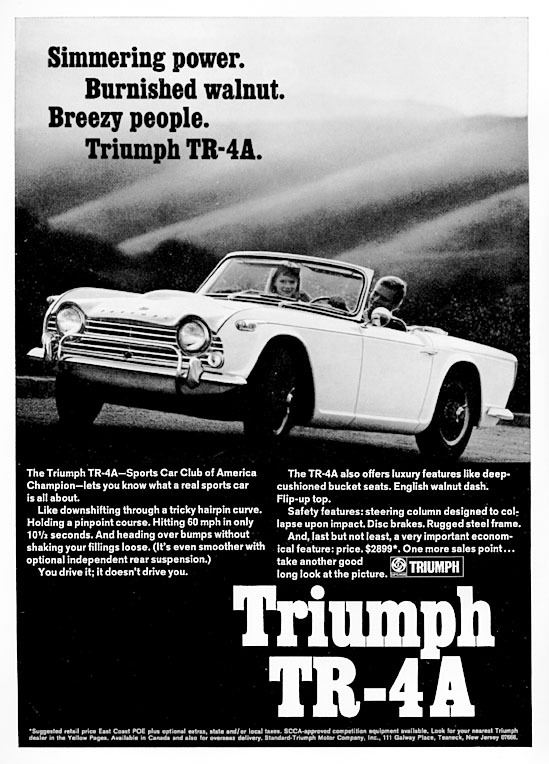 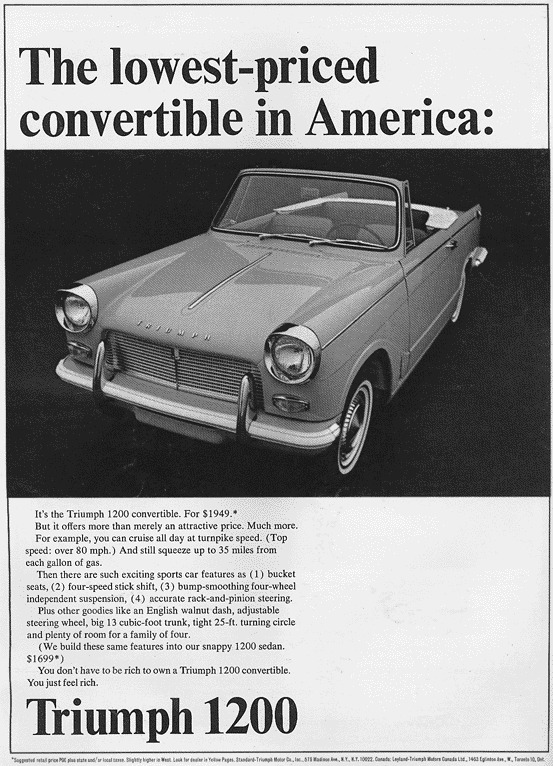 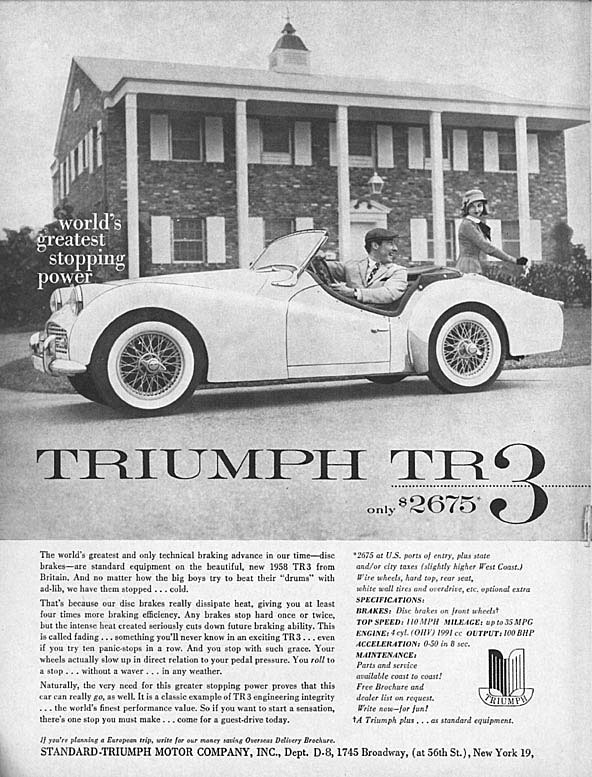 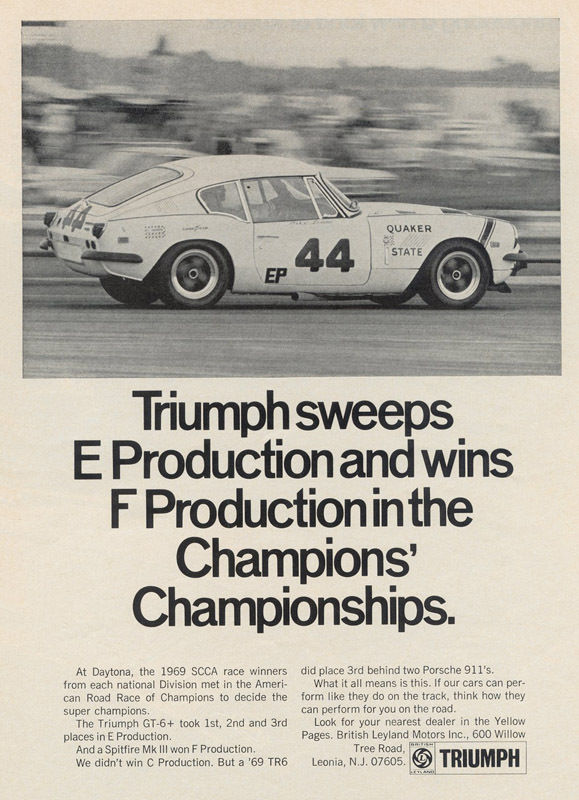 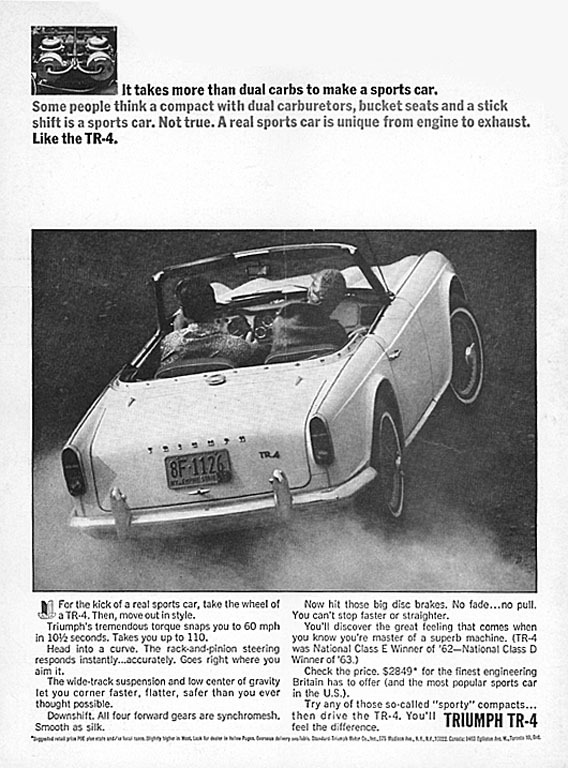 Triumph TR4A gives you more. 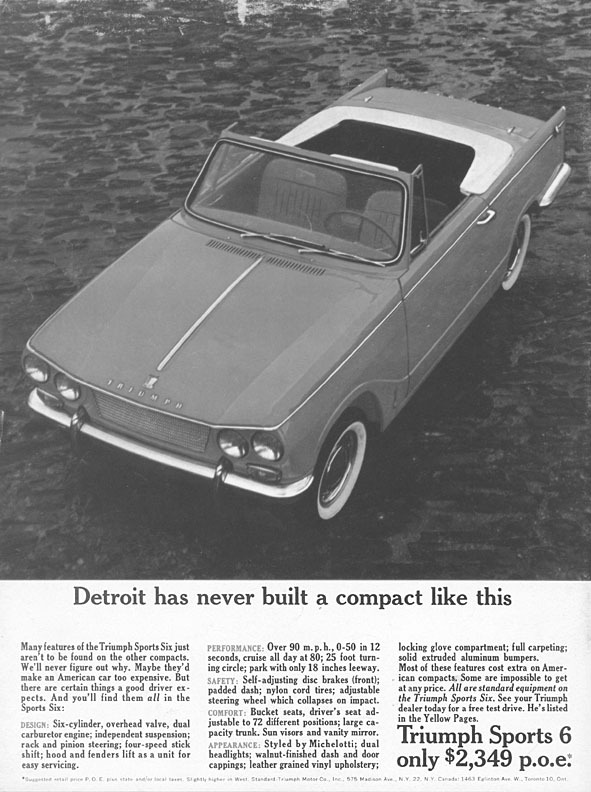 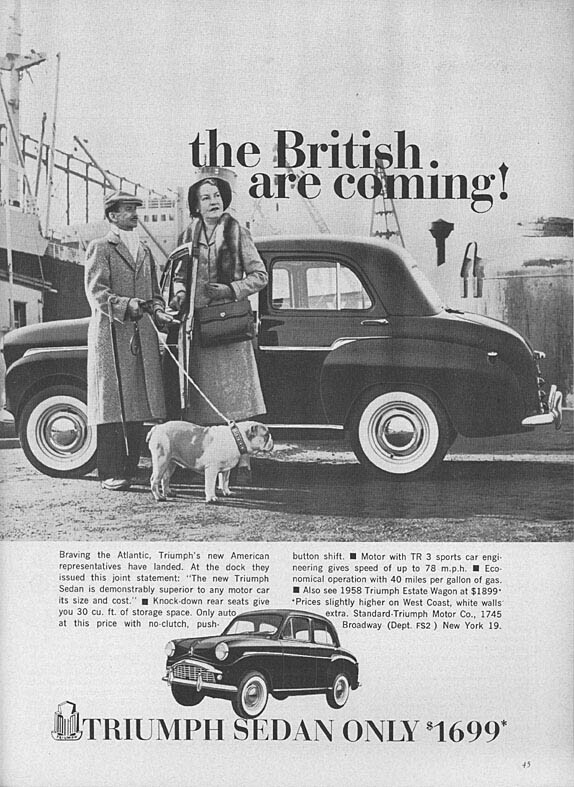 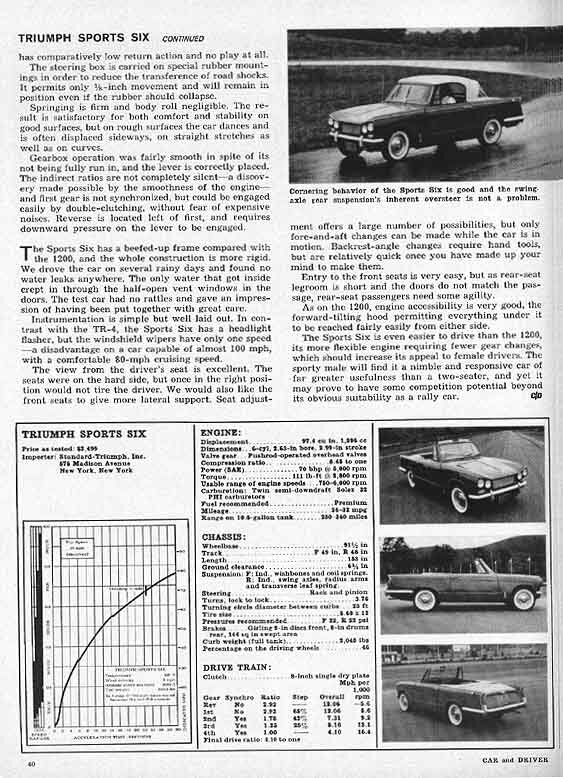 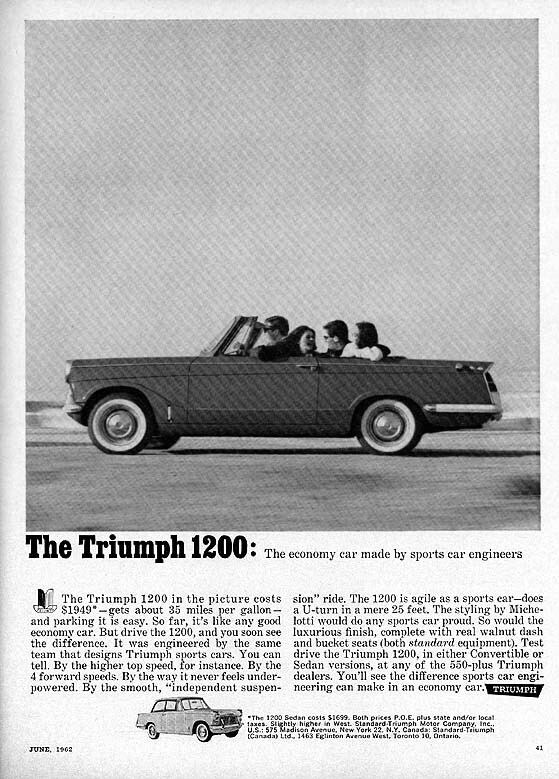 Herald 1200-"The economy car made by sports car engineers"
Herald 1200-"The Lowest priced convertible in America"
Sport 6-"Detroit has never built a compact like this"
"TR 4: National E Production Winner"
"TR 4 sweeps the National D Production competition"
1958 Triumph Sedan-"The British are Coming"
Triumph 4-door Sedan-"Sweetest Performance Value in America"
TR-2000-"Please! 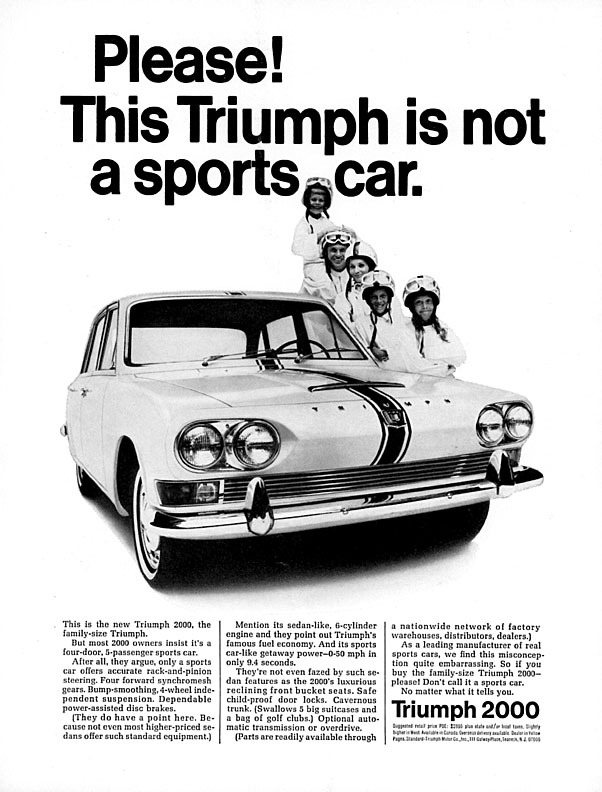 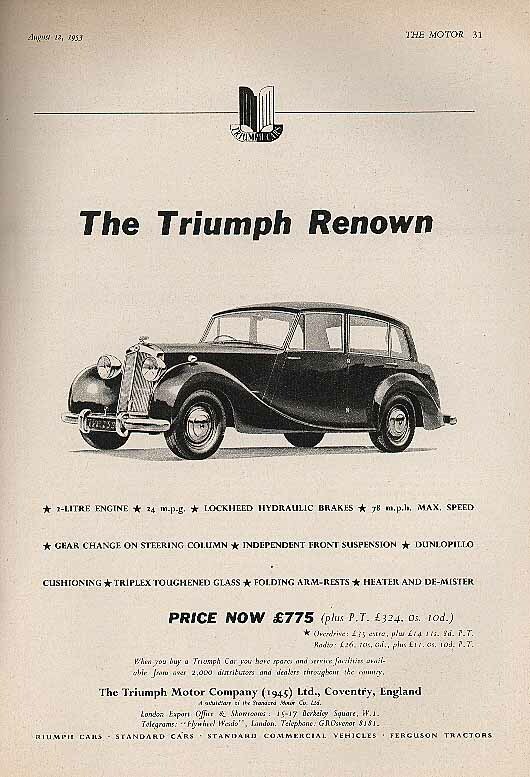 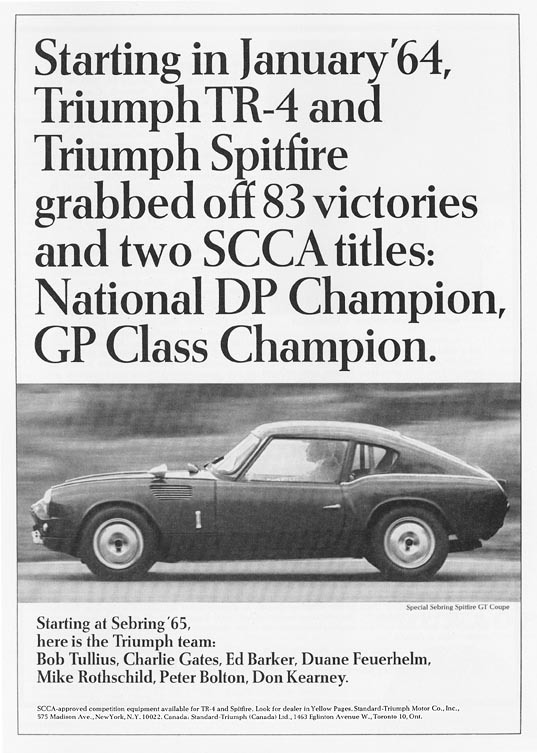 This Triumph is not a Sports Car!"